American Business Brokers. (ABB) is one of the most respected Business Brokers in Southwest Florida with over 125 years of collective experience. 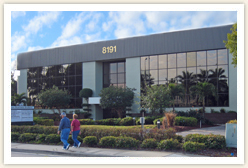 The Main office is based on College Parkway in the business district of Fort Myers, Florida. Through our Internationally relationships we have access to and with another 900 independent business brokers offices throughout the U.S.A. ABB has successfully structured hundreds of Florida business sales transactions for buyer and seller clients from virtually every conceivable category of business, both small and large. Many of them have been quite similar to the kind of business that you may currently be considering buying. Our mission is to utilize our broad over 125 years of combined experiences and creative marketing techniques to connect buyers and sellers of desirable businesses that require a change of ownership. We are constantly focused on providing high quality listings; on average we have more than 80 Exclusive listings in our portfolio. We are members of the Alliance of Florida Business Brokers (AFLBB) and the Business Brokers of Florida (BBF). Since ABB has access to over 3,000 business listings through a statewide computer network, we are a single point of contact for prospective business buyers and sellers for all of Florida. You can be assured of our ethical and professional service to help you find the American Dream for both Buyers and Sellers. American Business Brokers offer you the following services. Services include but are not limited to: Business Valuations, Marketing, Buyer Qualification, Presentation, Negotiations and Structuring the Sale. Our industry specialty is all-inclusive. The Company represents sales and purchases of closely held businesses ranging from $50,000 to $10,000,000 or more. We are also experienced in transactions involving SBA Lending and VISA Qualification. All of Florida with a focus on Southwest Florida: Lee, Collier, and Charlotte Counties (Fort Myers, Cape Coral, Sanibel and Captiva, Bonita Springs, Estero, Lehigh, Naples, Marco Island, Immokalee, Punta Gorda and Port Charlotte). Our Sarasota office serves territories between Sarasota and Tampa.